The first picture shows that 100% electricity (stroom) is coming in and 100% goes out again. the residual current circuit breaker that does not return everything and switches off the power supply. In the Netherlands we have a phase (brown) a zero (blue) and an earth (yellow/green). 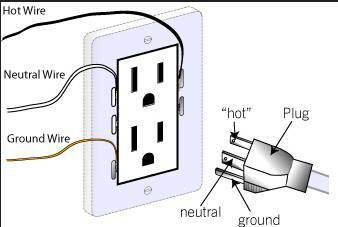 The system is designed in such a way that our plugs can be plugged into the wall socket without danger in two ways. This is because we have a zero and an earth wire. That went well as long as those water pipes in the street were made of metal. 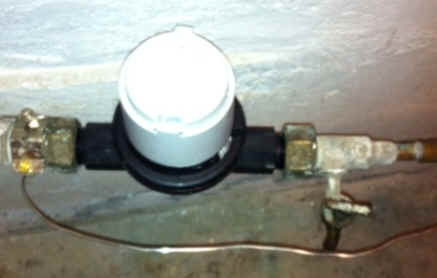 Although they were not really happy with this in the Westland the Bromomethane penetrates the pipe wall. 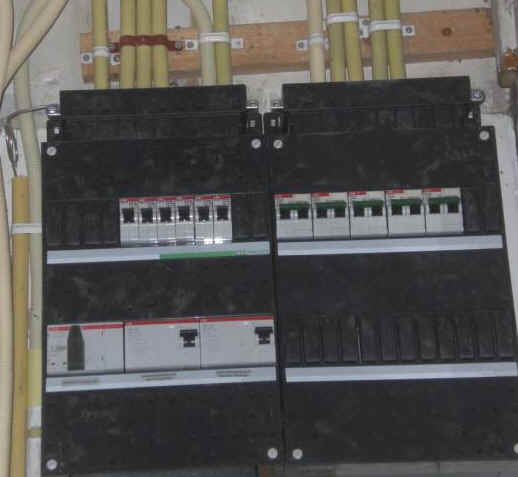 For this reason, earth lines have been or are being laid in the ground and the ground wires of the electrical installation in the house are connected to this ground wire. 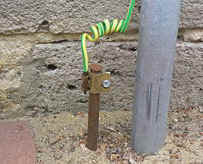 In America, and in many other countries as well, this ground wire is generally connected to the zero. 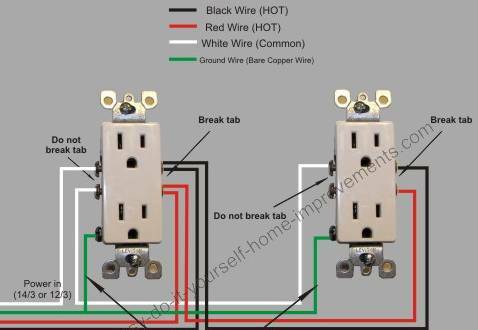 Because the plug has 3 legs and fits into the socket in one way or another, it is reasonably safe there. However, devices coming from abroad can be life-threatening in the Netherlands. Because the earth and the zero are connected and we can plug our plugs into the socket in two ways, we run the risk of not connecting the zero to the earth, but the phase with the zero. It means that the chassis, the outside surface, can come under current. Manufacturers who export equipment to the Netherlands also take this into account, but there are often minimal connections of the metal exterior with the zero or insulation of the wiring allows leakage current to pass through. 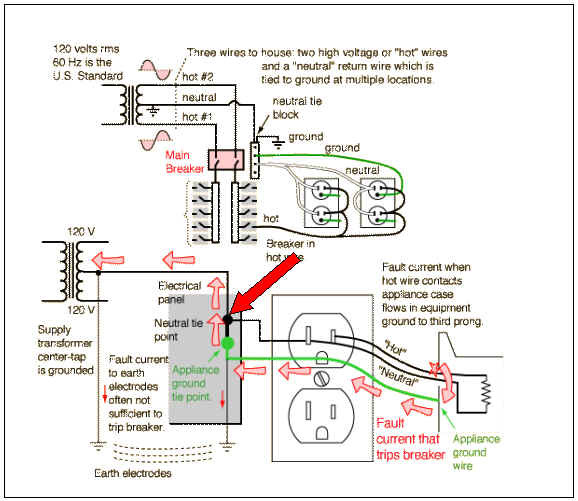 This explains why the residual current circuit breakers will turned off every morning if trun on the power with the overvoltage protection switches. The reason is that the American HP Compaq machines still suffer from some leakage voltage. The machines are not really affected, but we do. 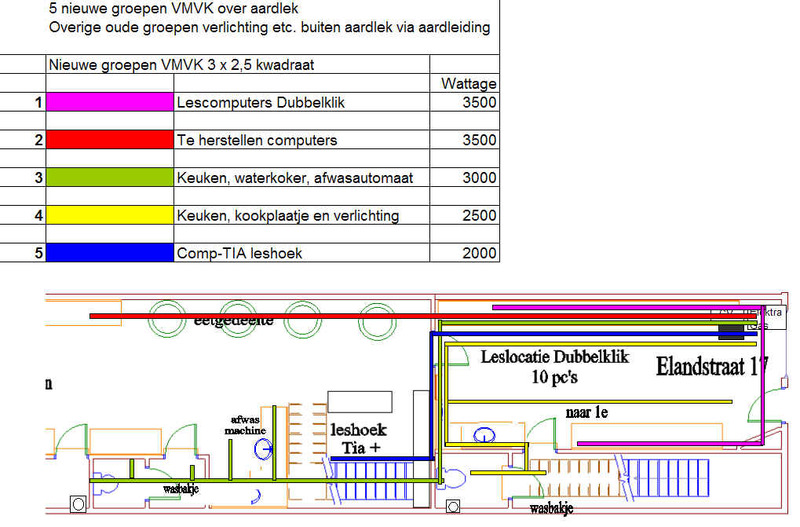 And this was taken into account when designing the electrical installation. Because the workgroups have their own earth leakage circuit breaker, we are never completely without power. With this red arrow you see that the zero (neutral) and the earth (ground) are connected to each other. Also above you see again that the ground is connected to the neutral. Below you see a washing machine as connected in America. 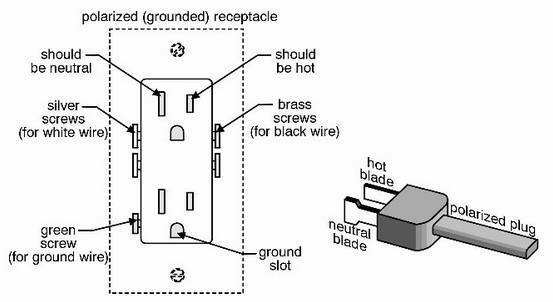 Because the plug only fits one way in the socket, the zero is connected to the ground and therefore this arrangement is safe. 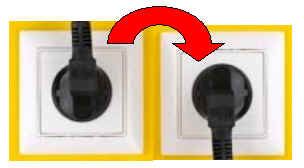 Now the plug "coincidentally" is inserted correctly and the phase is on the right side. 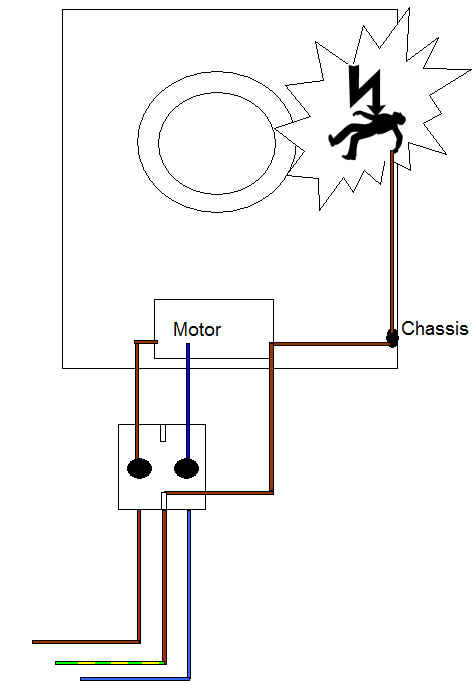 If we turn the plug over, the phase is then connected to the chassis if the zero is still connected to the earth in some way in the device. 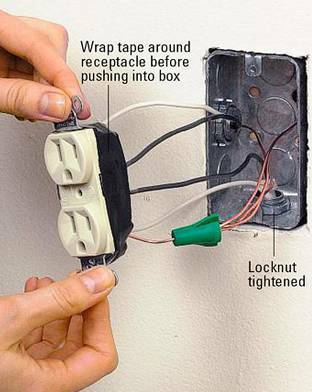 Either the fuse (fuse) cover or you are electrocuted when you touch the outside. The risk with a washing machine or dryer is even greater than with another appliance, because that group is generally outside the earth fault and you do not have this protection. In addition, these devices often still stand on a stone floor that also does not guide. 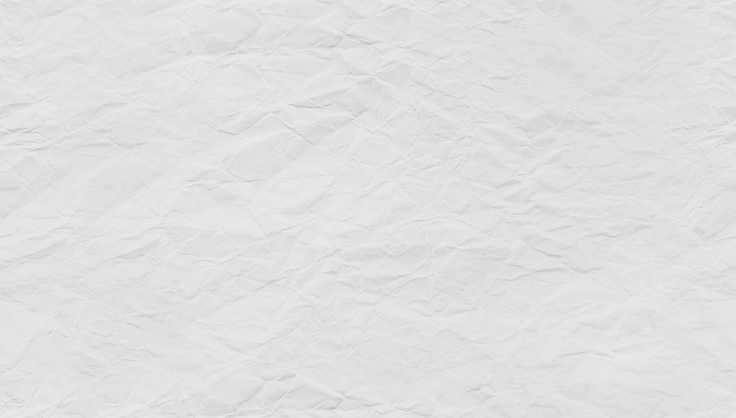 A printer is 100 watt. Total 3.225 watt : 220 volt = 14,66 amp�re. The triangle helps to find out a certain value. The formula appears when you put your finger on the symbol of which you want to know its value. 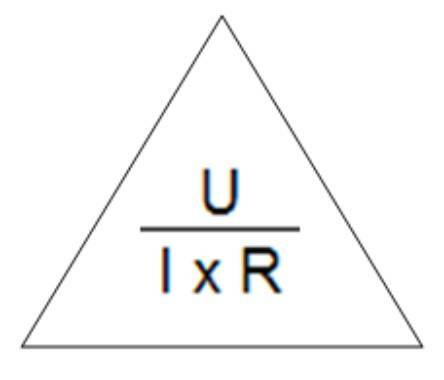 In case of determining the resistance, the finger is placed on the R. There is now you divided by I is visible. In the same way we can also calculate the U, voltage or I current.